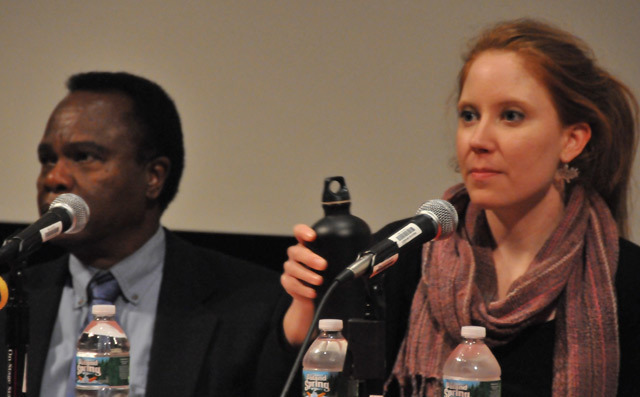 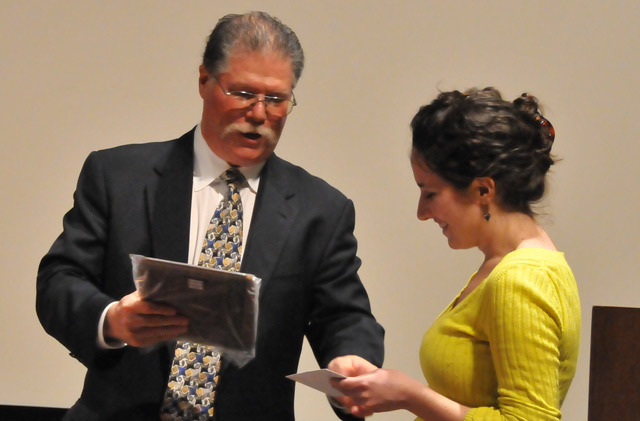 Chernoff honors Alexandra Provo ‘10 with the Robert Schumann Distinguished Student Award. 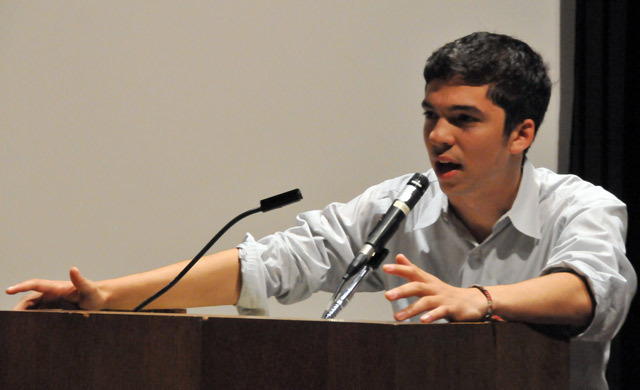 Jeremy Isard '11 moderated the Earth Day discussion. 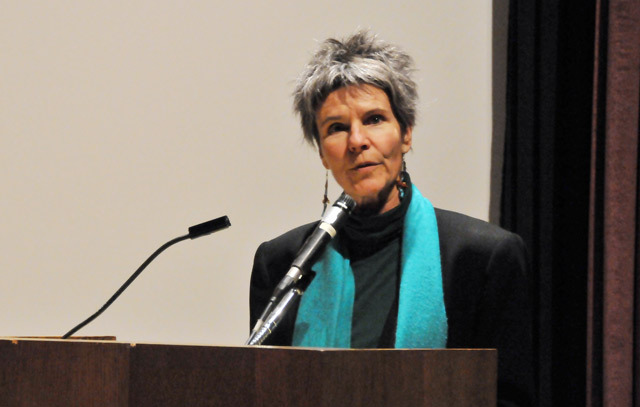 A panel of environmental experts discussed the question “are art and science as natural allies in communicating environmental issues to the public?” Pictured is Marda Kirn, of EcoArts Connections in Colorado. 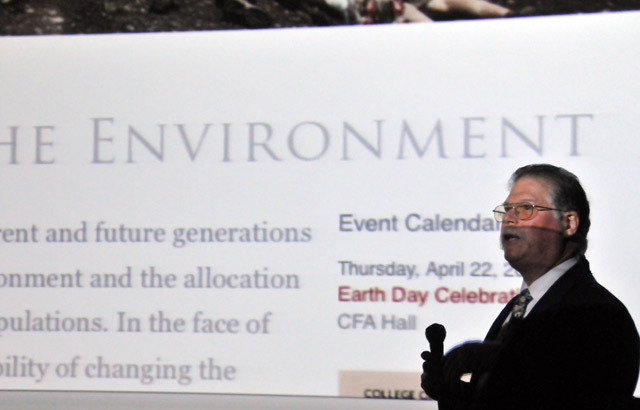 In honor of Earth Day, Professor of Physics Brian Stewart led his Third Annual Earth Day Rant April 22 in Exley Science Center. 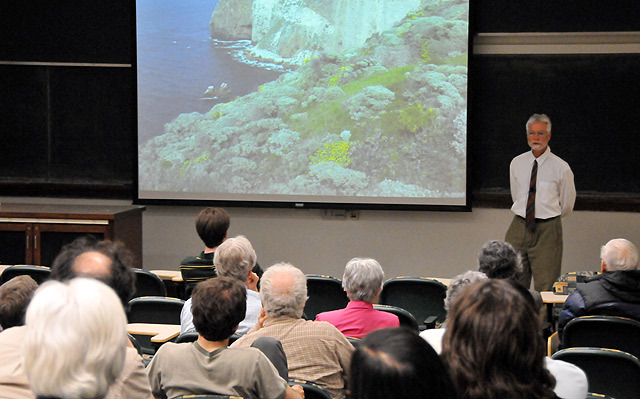 Stewart discussed interconnections between population, pollution and resource depletion, and provided economic observations.